Schools out and summer is in full swing. It’s time to explore with the children and find new and exciting activities. Parents, grandparents, sitters, nannies, and other child care providers start searching for places and events for the kiddies that attract, entertain, educate and interest all ages. Admission is usually free for ages 12 and under, unless it is a special event requiring an admission charge. Every Wednesday the grounds, including the Glen Burnie House, six-acre gardens, and museum, are open from 10 a.m. to 4 p.m. free to the public. This year, evening hours continue until 8 p.m. free to the public, including the house and gardens. A picnic in the gardens with a trip to the fairy garden is ideal for children on a warm summer evening. Check out the many family summer events below or on Go Blue Ridge Travel. 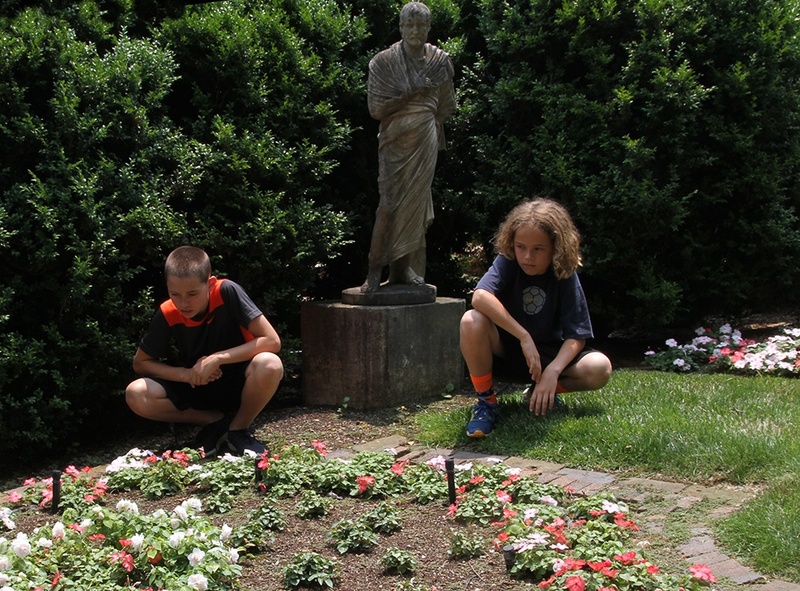 A Child Garden of Poetry program will be held from 4 to 5:30 p.m. Sundays on July 19. Children will wander through the gardens and hear a wealth of children’s poetry read in various garden areas. The work of more than 18 poets from Doctor Seuss to Ralph Waldo Emerson will be featured. This is for children of all ages who may bring a picnic dinner. Free admission for 12 and under and $5 for others. Children must be accompanied by an adult. Pay at the gate for register in advance at themsv.org or call 540-662-1473, ext. 240. Historic Houses and Illustration workshop will be held from 9 a.m. to noon and from 1 to 4 p.m. July 7. This is for rising 5th to 8th graders. The morning session will explore the Glen Burnie House, take part in a discussion about architecture and preservation, and creat relief-style sculpture of a building. The afternoon session will tour the exhibit, “Mort Kunstler: The Art of Adventure,” find out about illustration techniques, and create an illustration. Children may sign up for both or for one of the workshops. The workshop will be repeated for 9th to 12th graders July 9 with a morning and afternoon session. Cost is $15 a session for MSV members; $20 for others. Registration required at themsv.org or call 540-662-1473, ext. 240. Hear stories about time and time-pieces read by Jackie Koirtyohann, a former elementary school librarian and MSV educator docent in the Glen Burnie House. 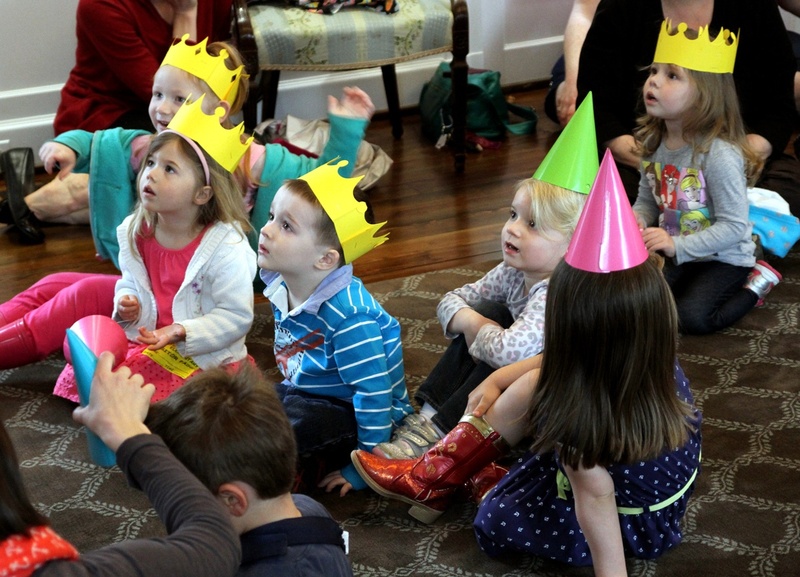 This free program for ages 2 to 5 takes place monthly on MSV free Wednesdays from 11 to 11:45 a.m. April through October in the library of the Glen Burnie House in collaboration with Handley Library. Registration not required. This workshop is for rising 5th through 8th graders and will be held from 9 a.m. to noon and from 1 to 4 p.m. July 14. In the morning, participants will explore the MSV’s six-acre gardens, discuss the design principals used in their creation, and then create miniature gardens to take home. In the afternoon session, participants will examine a 19th-century printing press, learn about printmaking and create their own printed works of art. This workshop will be repeated for 9th to 12th graders July 16 with the same activities. Cost is $15 each session for MSV members; $20 for others. Registration required at themsv.org or call 540-662-1473, ext. 240. Registration required by the Friday prior to the workshop start date. For rising 5th and 6th graders, this workshop will be held from 9 a.m. to noon and 1 to 4 p.m. July 21. 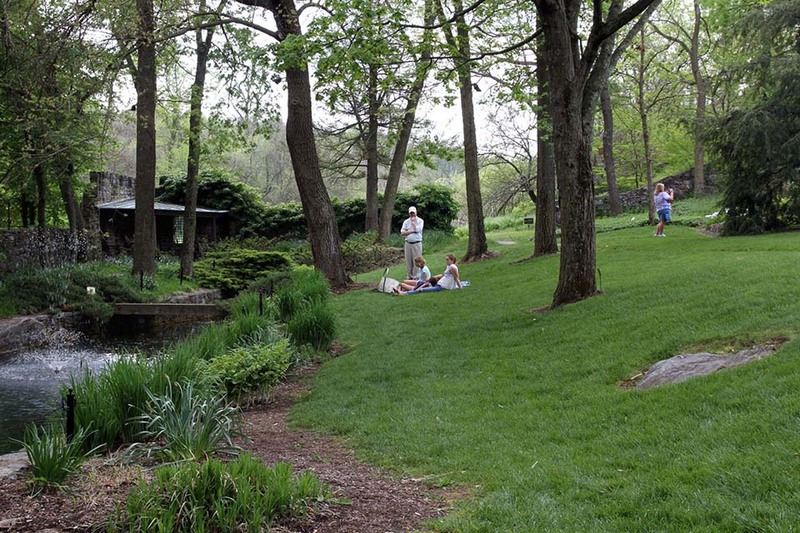 In the morning, the participants will visit the “Beauty in the Botany” exhibit and learn how to paint botanical watercolors using the MSV’s Glen Burnie Gardens for inspiration. In the afternoon, the session will include the examination of metal objects on display in the MSV galleries, observe a blacksmithing demonstration, and create hammered copper bowls. This workshop will be repeated from 9 a.m. to noon and 1 to 4 p.m. July 23 for rising 9th to 12th graders. Cost is $15 each session for MSV members; $20 for others. Registration required by July 17 at themsv.org or call 540-662-1473, ext. 240. This will be held from 9 a.m. to 1 p.m. Monday to Friday July 27-31 for rising 1st to 3rd graders. 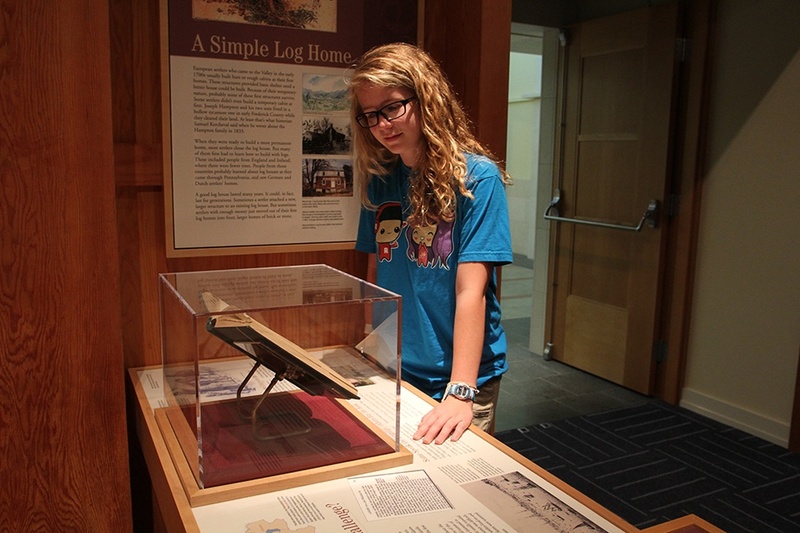 Particpants will be immersed in a week of activities at the MSV and the Shenandoah Discovery Museum. There will experiments, creation of art, and handson activities and take-home projects. Cost for MSV or SVDM members is $150 and $180 for all others. Pre-registration is required. Call 540-722-2020. Tiny Tales Story Time: Fairies in the Garden? Songs and stories about fairy gardens will take place during this program from 11 to 11:45 a.m. Aug. 12. Jennifer Sutter, Handley Regional Library youth service librarian, will lead the program for ages 2 to 5 accompanied by an adult. No registration required for this free program. Explore the whimsy of the MSV’s fairy garden and create a fairy garden or gnome house to take home from 10:30 to noon Aug. 15 or Aug. 18. This is for ages 4 and up with an adult. Cost is $3 per child for MSV members and $5 for others. Adults accompanying a child will be admitted free. Pre-register at themsv.org or call 540-662-1473, ext. 240. Walk-ins welcome as space permits. MSV horticulturist Chantal Ludder with lead this free program from 10 to 11 a.m. Aug. 26 in the MSV vegetable and herb gardens. This for adults with their in-stroller or front-carrier companions (age 3 and under.) A handson activity is included. A garden stroller stroll will also be held from 10 to 11 a.m. Sept. 23 in the rose and perennial gardens. It is free and also led by Ludder. Jennifer Sutter, Handley Regional Library youth service librarian, will lead this free program from 11 to 11:45 a.m. Sept. 9 with songs and stories about miniatures at the Glen Burnie House. This is for ages 2 to 5 with an adult. In addition, there are Gardens at Night concerts held the second Friday of the month, and special family activities are part of the festivities. Gates open at 6 p.m. and music begins at 7 p.m. These are free to members, ages 12 and under, and active military personnel and families; all others $10 for concert, galleries, and gardens. Aug. 14, Robbie Limon Band, and Sept. 11, The Reflex. Thanks to Frances Lowe, a retired journalist and educator, most recently serving as lifestyles editor at a local newspaper. She worked as a high school and middle school teacher and school administrator, as well as a newspaper adviser. Now she writes a blog, Three Savvy Broads, with two other savvy women and a contributing writer for Senior Correspondent, A Seasoned View of the World, an online site.